Zuma Charges Redux - Where Are the Key Players Now? The decision by South Africa's Constitutional Court nullifying former president Jacob Zuma's appointment of the country's prosecutions boss three years ago closes an unhappy chapter in the country's recent past. It undoes a wrong that threatened a key institution and the functioning of the criminal justice system in the fledgling democracy. The court ordered Nxasana to pay back the money. And the majority of the judges ruled that he couldn't return to the position because he'd accepted the hugely inflated - and unlawful - golden handshake as the price for leaving office. The Constitutional Court also confirmed that Zuma's subsequent appointment of Advocate Shaun Abrahams was unlawful and invalid. 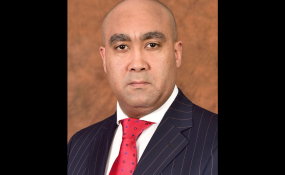 It ruled that when Abrahams was "appointed", there was no vacancy in the office of the National Director of Public Prosecutions. That's because Nxasana was legally still serving in that position. As one cannot validly be appointed to a position that's not vacant, Abraham's appointment was thus unlawful and invalid. With a malleable, corrupt or dysfunctional prosecuting authority, many criminals - especially those holding positions of influence - will rarely, if ever, answer for their criminal deeds. Equally, functionaries within that prosecuting authority may... "be pressured... into pursuing prosecutions to advance a political agenda". The court's concern about the future independence of the National Prosecuting Authority also led it to declare certain parts of the law governing the body invalid. Do its decisions point to a new start for South Africa's criminal justice system? The answer to that question lies partly in how the country's President Cyril Ramaphosa responds. He has 90 days to appoint a new head for the prosecutions authority. Will he revert to a secretive process to avoid any scrutiny of his choice? Or will he subject himself voluntarily to public accountability by allowing South Africans to scrutinise his preferred candidates before making a final choice? The first - 12(4) - allowed the president, in certain circumstances, to extend the term of the National Director of Public Prosecutions beyond the retirement age of 65. The second - Section 6 - allowed the president to suspend the director without pay, and for an indefinite period pending an inquiry into his or her conduct. the method of appointment, the method of reporting, disciplinary proceedings and the method of removal ... from office, and security of tenure. It's also not the first time the issue has come before the Constitutional Court which has found itself ruling against three proposed national directors of public prosecutions. But there's nothing preventing him from opening up the process to public scrutiny.